We all dream of an amazing master bedroom, but the masters we see today, with large walk-in closets and double-sink vanities haven’t always been that way. They have only risen to popularity within the last fifty years. But when did master bedrooms start being a thing that we all want? Let’s take a look at how the master bedroom has evolved over the years and why is it called a master bedroom. In the colonial era, the average American home contained only one multi-use room, where the family would cook, eat, socialize, and drink. Having luxuries, like the privacy of a master bedroom, would have been impossible. Working consumed most of the day, taking away the opportunity for leisure time. If a family was lucky enough to have a multi-room house, they rooms determined out of function. (The kids might sleep in one room, while the parents slept in the main room). As wealth increased, rooms in houses began to serve specific designated functions. Suddenly there were parlors for company. A room just for eating. Servants’ quarters. A bedroom for the children. And (finally) parents had their own bedroom. Individual rooms meant wealth and status. 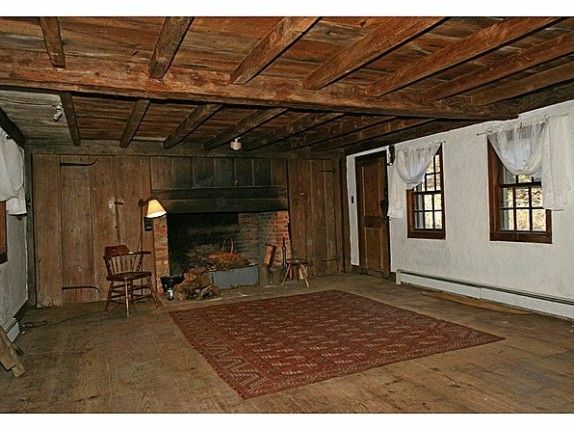 As a result, most houses had many small rooms — no master bedrooms, yet. By the turn of the century, most bedrooms were built on the second floor of the home, making them much more private. The 1926 Sears catalog marks the first recorded use of the phrase “master bedroom.” At $4,398 the Dutch colonial house was the most expensive in the catalog, featuring: a sunporch, built-in kitchen cupboards, and a “master’s” bedroom with a “private” bathroom. The master bedroom existed, but it still wasn’t popular in the modern American home; however, the American home was evolving. After WWII, marriages happened out of romance instead of practicality and the rise of the baby boom meant homes structure began to change. New homes featured “togetherness.” Instead of the small, closed off rooms of the 1800’s, houses were built with a more open floor plan. Critics of this new design called for more privacy, specifically for the hard-working parents. They deserved their own space. The widespread implementation of master bedrooms marked the need for a “sanctuary” within the home. As centralized heating and air-conditioning became more popular, master bedrooms began to increase in size, quickly morphing into the master bedrooms we think of today. Is the term going away? Recent reports show that home builders are attempting to phase-out the phrase “master bedroom” in favor of “owner’s bedroom.” The phrase “master bedroom” isn’t derived from plantation farming and slavery. Still, a 2013 survey of major D.C. home builders found that 60% of them have ceased using the phrase. The word master is also inherently male, making the term “master bedroom” gendered as well. Add those to things you never thought you’d learn on a real estate blog. While the phrase hasn’t gone away just yet, the term could easily change within the next ten years. Regardless of what it’s called, a large bedroom with a private bath is a staple of the American home. Ready to start searching for a home with an amazing master bedroom?